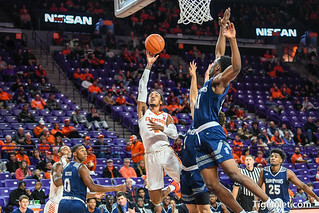 Clemson's season ends at home in the NIT for a second time in three years after a game that the Tigers never led in. Danielle Edwards scored 17 second-half points to finish with 25 as No. 9 seed Clemson came back to defeat No. 8 South Dakota 79-66 in the first round of the NCAA Women’s Tournament in Starkville, Miss. Captain Ugly Duckling is taking her brood of ugly ducklings to Starkville and the NCAA Tournament. Clemson’s women’s basketball coach Amanda Butler’s squad earned a spot in the tournament, which starts Thursday. 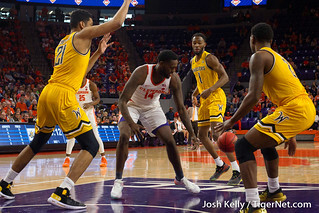 It isn’t the tournament Clemson wants to be in, but Brad Brownell hopes the Tigers are ready for the challenge of the NIT. 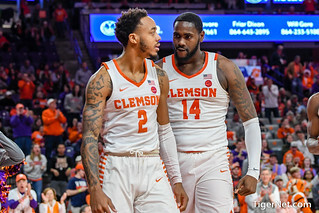 Clemson returns to postseason play, accepting a bid Sunday to compete in the 2019 National Invitation Tournament (NIT). 1/22 Amanda Butler on Team No. 44: "This team is worth coming to see"
11/14 Reed's big night leads No. 19 Clemson past Sam Houston St.
Brad Brownell: "Really disappointed on how the game ended"